Yeah...its been awhile,but you know what else has been a long time coming...BESIDES THE OFFICIAL RELEASE (INTERNATIONALLY) DATES OF FF Verses 13 & TYPE 0(AGITO)?! *ahem*...A new star ocean game! 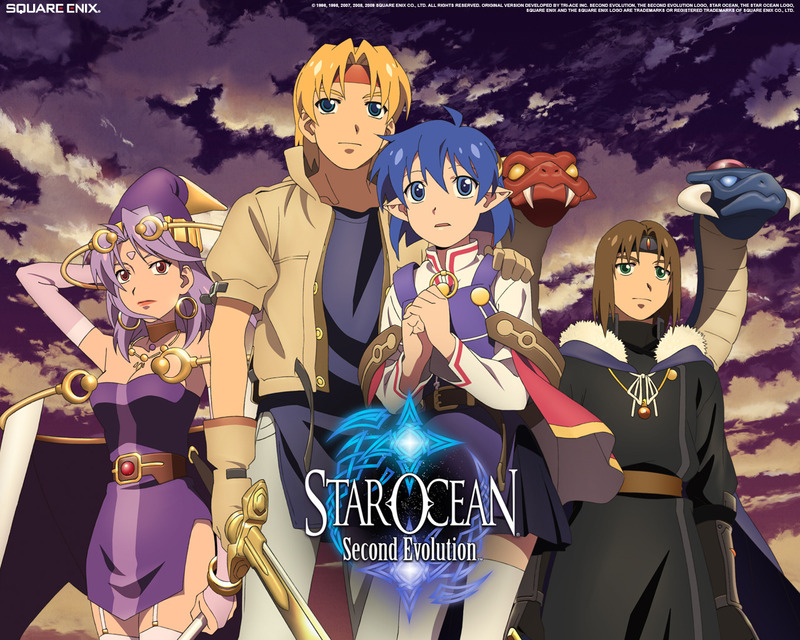 Star Ocean 2,better known as "Star Ocean the second story" is one of those games that is much lesser known from the PS1 era,much like "Grandia",and the original (USA release of)"Dynasty Warriors". At the time I was only accustom to the traditional battle system of games like "Final Fantasy 7" and back,but this game was like a breath of fresh air with its Real-Time combat. At the time not many games aside from the "Tales Of" series even went down this road,this type of game was REALLY few and far in between. Needless to say it was one of my favorite games of 1999(yes its that old). Us fans of the game had to wait 5years for the next one "Star Ocean Till The End Of Time" and as good as it looked for the year it was conceived the whole style that made it great went to the shitter. The "action" part of this game in mainly the combat was scaled back tremendously. There was an added meter that needed to be at 100% to perform special moves,and then to even do the special moves you needed to have a good amount of hit points or you would die from doing specials. On the note of dying, YOU FAULKING DIED BECAUSE OF MP DAMAGE!!! Battle mechanics aside the plot was kinda dumb after awhile and hit you with a left field sub-plot near the start of the game.This game lived up to the title "Till the end of time".I wont spoil anything here,but it does tie all the games before it up very nicely(sorta?) so that was an A+ on their part.I have not had the chance to play the 4th game "Star Ocean:The last hope",but i hope that it does a better job keeping me entertained and coming back to a series that i enjoy so much.